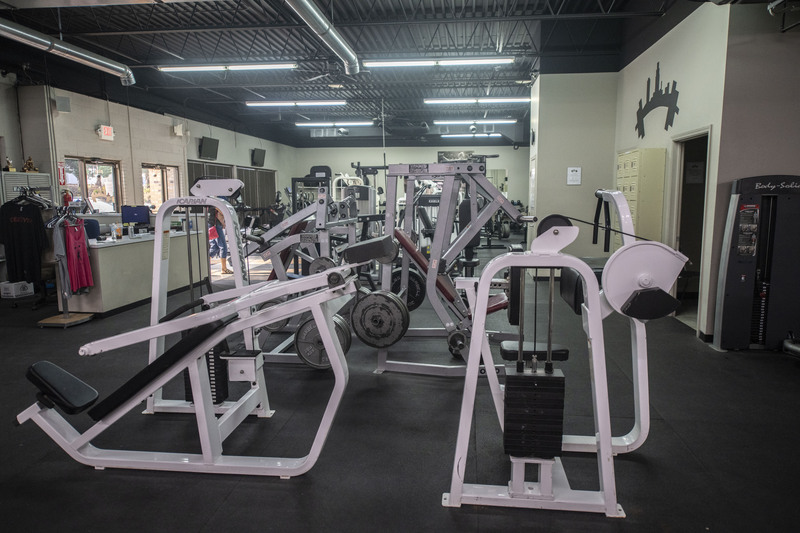 We know a lot of people are interested in cardio and we want you to know that we have equipment for you too. 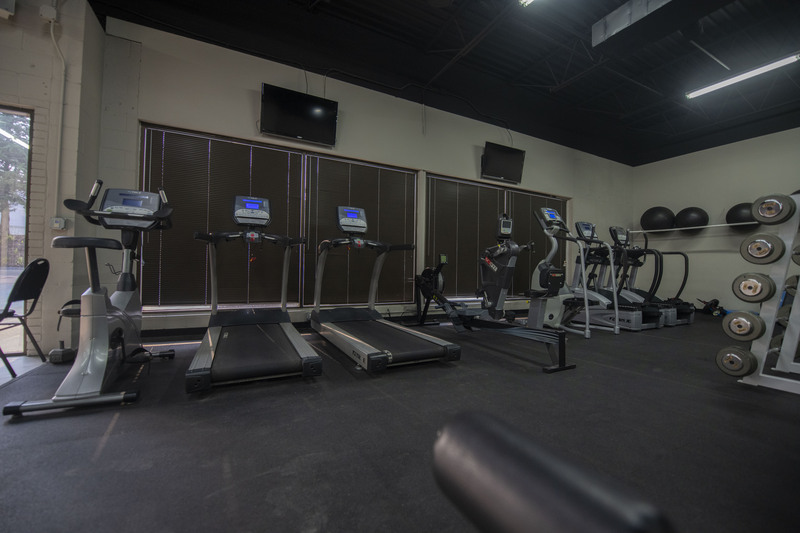 We have treadmills, ellipticals and bicycles. All are polished and up to date, ready to take your heart rate and make you sweat. They are equipped with technology to make your workout as hard or as gentle as you wish. We know that free weights, more than anything else, are vital for any kind of training. 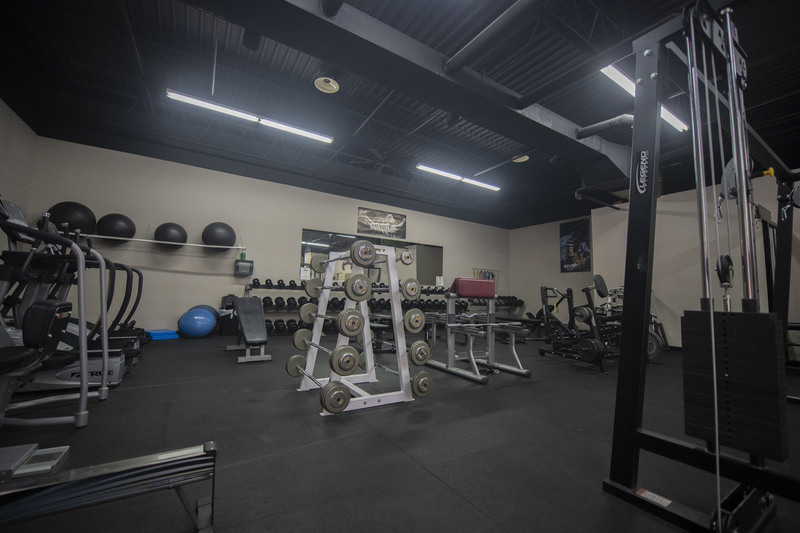 Where most gyms have dozens of Nautilus or other machine-based equipment with (maybe) one Smith machine, we have multiple power racks AND a mono-lift, with a full suite of bars to go with them. Instead of the wobbly, too-narrow benches you’ll find at most gyms, we have real competition-style benches complete with spotting platforms. 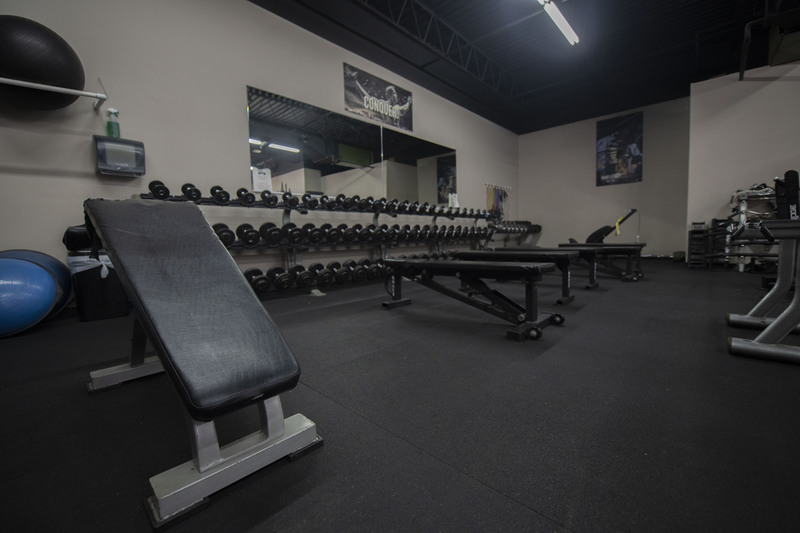 We have guys in here benching well over 400 pounds, so pro-grade equipment isn’t an option, it’s a must. 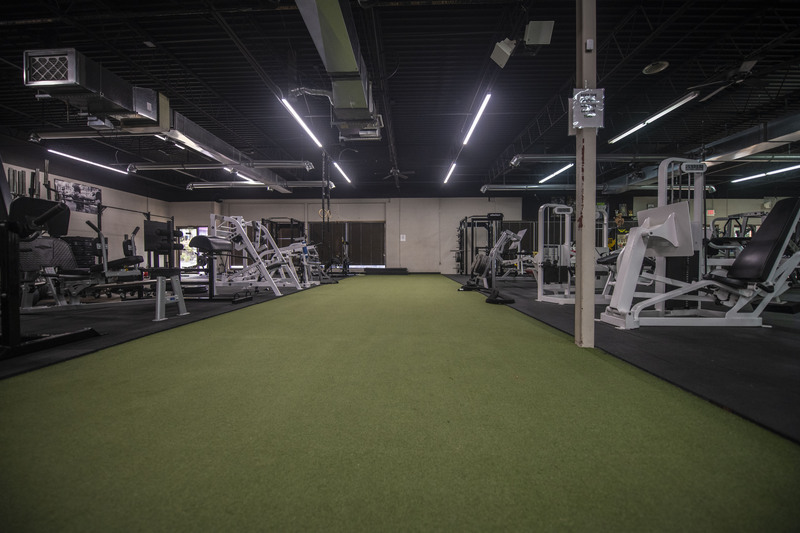 If you’ve never used a sled or our prowler before, then you’re in for a real treat! It’ll be a grueling treat while you’re doing it, sure, but the fat loss and explosive strength you gain from these pieces of equipment is unreal. Highly recommended for all athletes. Most commercial gyms will tell you to deadlift quietly, if they have deadlifting equipment at all. 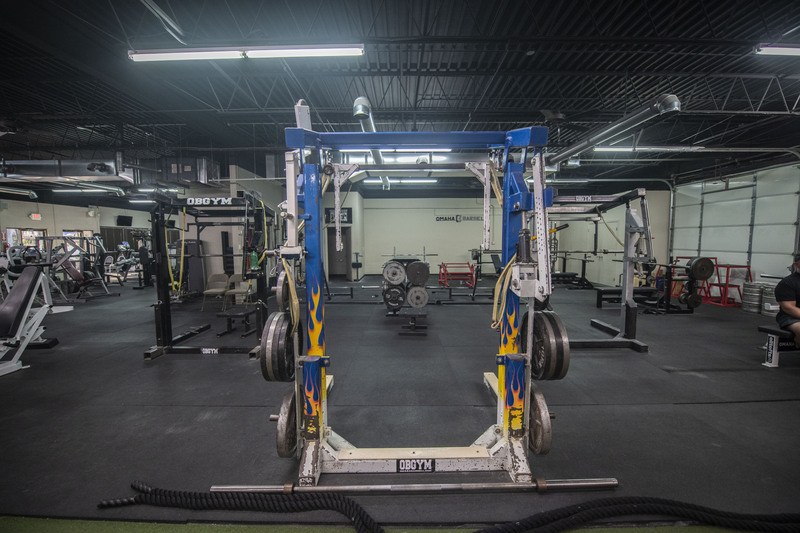 We have an open deadlifting platform with bumper plates, perfect for deadlifts and olympic lifts alike. As we said on the home page, you’re welcome to drop the weight at OBGYM! You can’t seriously train the major competition lifts (squat, bench, deadlift) without these accessories, and we have all of them. Our courteous and experienced staff is always happy to help you rig up the bar and lend a spot if you choose to use these awesome tools. Most gyms only have dumbbells up to 100 lbs. We’ve got that and more. Dumbbells are essential for unilateral training (making sure both sides of your body are the same strength), and no matter how strong you are, we’ve got the iron you need to get stronger. Of course, we really don’t have space here to outline every single piece of equipment in our gym. For example, we haven’t even touched on our Reverse Hyper machine, our MMA equipment, or our wide assortment of bars. But we figure, why read about it when you can come in and see for yourself? 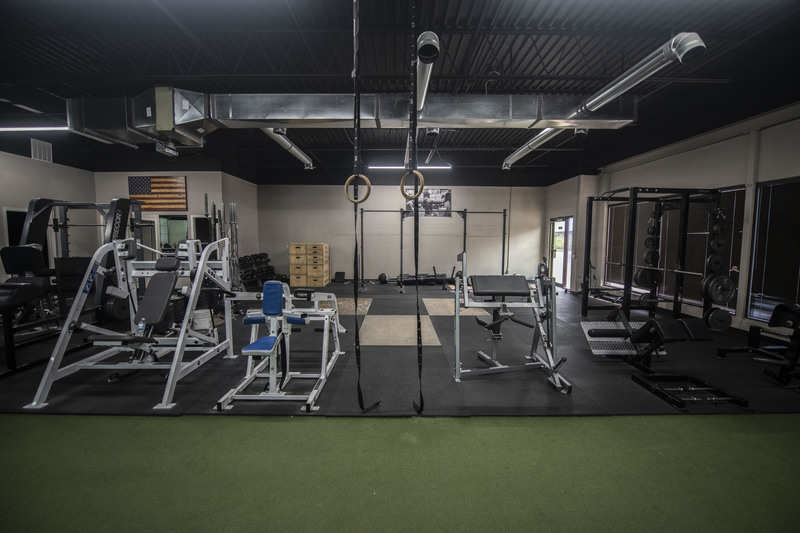 We would love to show you the ropes (literally – we have MMA ropes), so give us a call and schedule a tour. We’re sure we can impress you.